Mediterranea is a mission that aims above all to show solidarity with migrants braving the Mediterranean and against European governments' policies towards them. The Mare Jonio ship, the flagship of the project, and its crew are nevertheless prepared to save human lives as well. InfoMigrants joined them during a training exercise. The sea is raging out beyond the quay in Palermo port, with Sicily's mild climate seemingly lashed away by the icy wind. 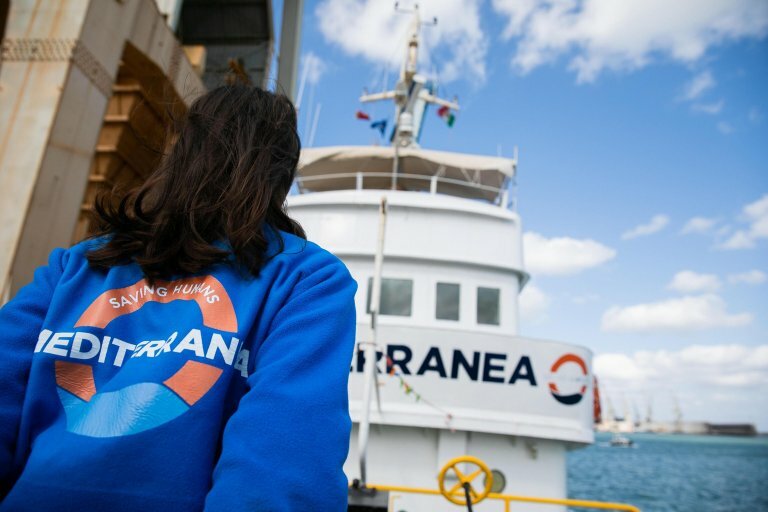 The volunteers of Mediterranea pay scant attention, however, focused as they are on preparing to sail south of the island to areas where boats carrying migrants venture into areas under the responsibility of Italy, Malta, and Tunisia. Mediterranea's Saving Humans project is the brainchild of Beppe Caccia and Luca Casarini, both well-known for their longstanding activism within the Italian left. Caccia spoke to Infomigrants about how the project began. ''We decided to take action in late June 2018, faced with the 'war' that several governments were waging on NGOs (working to save migrants in the Mediterranean Sea, Ed.). But we did this in a discrete manner since a public announcement would have led to polemics,'' he said. Various people and bodies joined the project in the following months, such as MoltiVolti, a lively restaurant and co-working space in Palermo's Ballarò area, where many migrants from the nearby SPRAR asylum seekers assistance center find work and a place to socialize. 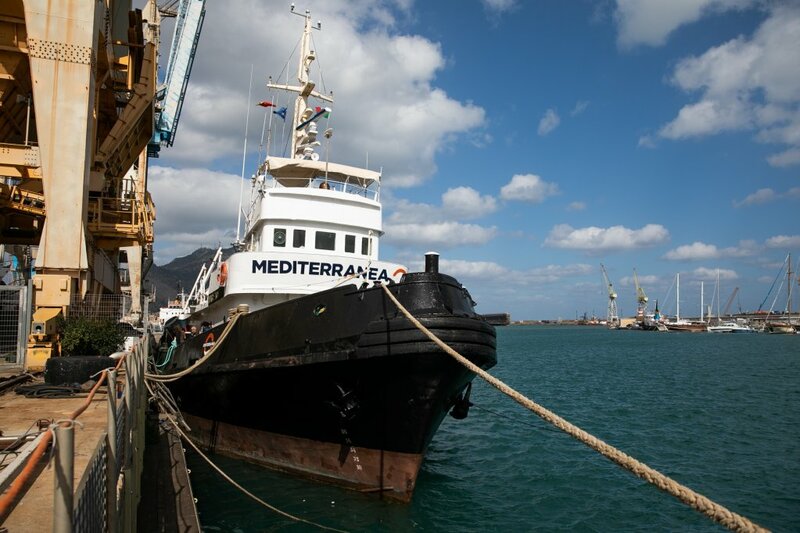 Mediterranea has also received support from many cities that have sided against the anti-migration policies of the Italian government: Palermo, Naples, and Milan as well as Barcelona and Amsterdam. Then there is also the Ya Basta! Organization of Bologna and the national branch of ARCI, as well as the 'counterinformation' website iDiavoli. Caccia noted that ''fundraising activities then began and in July we had enough money to buy the ship Mare Ionio, a tugboat built in 1972." He noted that the purchase was necessary since ''those we contacted to rent one were afraid of political retaliation against them and fallout on their businesses. The purchase was made possible mostly by Banca Etica and the fact that some MPs acted as guarantors for credit lines." The three days in Palermo begin with a practical exercise in Marina di Cinisi, not far from the Falcone e Borsellino airport. The 35 members of the Mediterranea rescue team listen as Mark, a Brit working with the Sea Watch NGO, explains how to appear friendly to the migrants onboard, how to use the right tone of voice and never yell, how to control facial expressions, and to never accept rash acts. ''If someone jumps into the water because they want to be saved first, throw them a life jacket but do not pull them up first,'' the instructor said.